Here you'll find all our interviews. Just click on the title of the interview and you'll be taken to a page where you'll find the controls to play the recordings and the link to download the MP3 file to you computer or MP3 player. 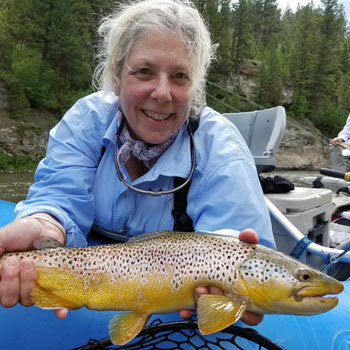 Michele White, a professional guide in Lake George, Colorado, has extensively explored, fished and documented the tributaries of the South Platte River in South Park. South Park is home to Lake George, the Tarryall River, Lost Creek, Tomahawk, Badger Basin and the headwaters of the South Platte River. 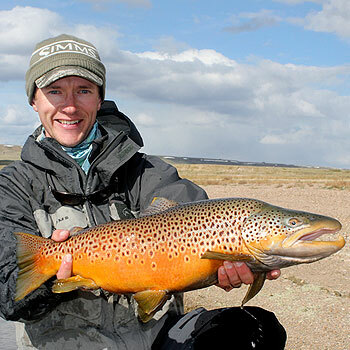 Listen in if you're looking for fishing locations that are less pressured than the South Platte River but still in easy reach of the Denver metro area. Devin Olsen qualified for his 10th consecutive berth on Fly Fishing Team USA in 2018 and has traveled the world competing and winning. Join us to learn how to get started in competitive fly fishing and what you need to do to be the best and compete with the best. Landon has fished and researched many of the best places to catch giant trout. Fishing locations from Alaska to Maine Landon has created the ultimate bucket list of places to fish. Join us and discover what makes these fisheries so special and learn the secrets to catching monster trout. Tom Boyd has traveled the world studying trout, salmon and char. He's tagged them, done DNA analysis, studied their habitat and range as well as individual characteristics. 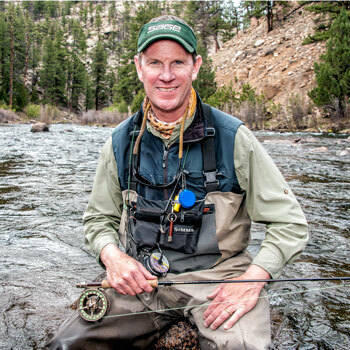 In his recent book Trout Salmon and Char he presents new findings, behavior patterns and proven tactics to catch more fish. Join us and pick Tom's brain about this new data he's collected so you can better understand these fish and catch more of them. 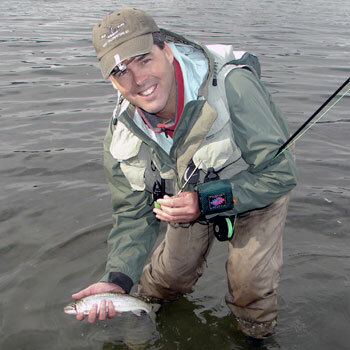 Are You Making Mistakes Fly Fishing? Sara Low, a professional guide in New York, has seen just about every mistake her clients could possibly make. She'll help you with fly-fishing techniques and help you to break bad habits. Common issues include correctly approaching fish, improving fly selection, proper presentation, consistent and accurate casting, efficient hooking and landing of fish. Join us and learn how to correct those bad habits you might not even know about. 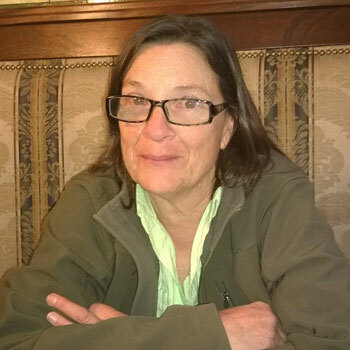 Terry Meyers has guided for steelhead most her professional life and has been involved in conservation efforts to preserve the species. To bring awareness to the plight of the steelhead she went on a quest to catch a steelhead in every month of the year and write about it as she fished. 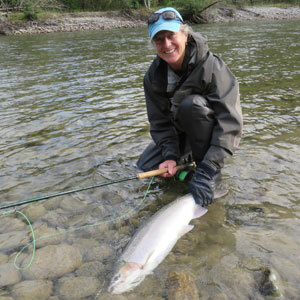 Join us to hear about her quest and become educated in the future of steelhead. 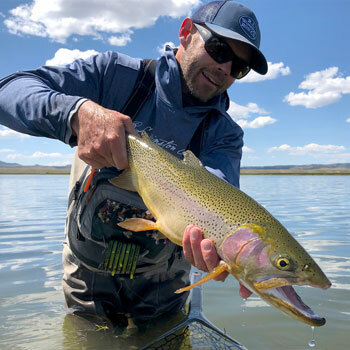 Chester Allen has fished the migration run of the rainbow and brown trout from Montana’s Hebgen Lake into Yellowstone National Park’s Madison River during the fall for many years. Join us and learn about where to fish, what flies to use, and how to find the best water for very large trout! Tom Boyd shares a trip of a lifetime to Mongolia. He traveled over the steppes where there were no roads - navigating with GPS and stopping to talk to nomads for directions. 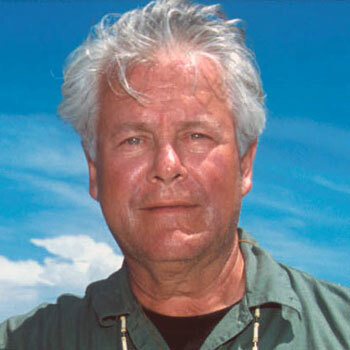 He fished the Shishged/Tengis River Protected area where no Americans had ever been before. Listen in to find out about the different types of fish and fishing he did including his largest trophy a 40” taimen.